Breast Cancer Awareness Month is here, ladies—or as I’d like to call it, PINK-tober! Think about what wearing PINK represents. Think about the number of women affected by breast cancer. Think about why it’s important for all women to join the fight to raise awareness and find a cure. We all know someone whose life has been touched by breast cancer. Our mothers, sisters, friends…or even ourselves. Breast cancer is the most common cancer amongst US women. In 2016, an estimated 246,660 cases of invasive breast cancer will be diagnosed in the US alone. If we want to make an impact on finding a cure, it’s up to us to bring attention to this disease and keep it on the front burner. Why? Because with every risk factor we learn, with every new fact we share and with every healthy choice we make, we create progress towards prevention. Also, with continued awareness and advancements in technology and research, I know we will find a cure. This year and throughout 2017, NAPW Foundation partner the Breast Cancer Research Foundation will award $57 million in annual grants to more than 250 scientists from top universities and medical institutions around the globe. That’s the power of progress! 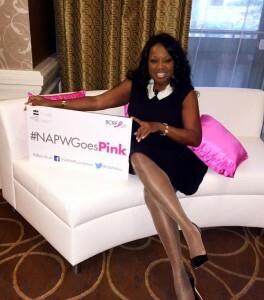 At NAPW, professional women succeed together, learn together, grow together and fight against breast cancer together. By holding informative, educational and charitable networking events through our Local Chapters, NAPW members share inspirational stories, offer a system of support and learn about risks and early detection. • (P) Plan Your Annual Checkups – Make yourself and your health a priority! 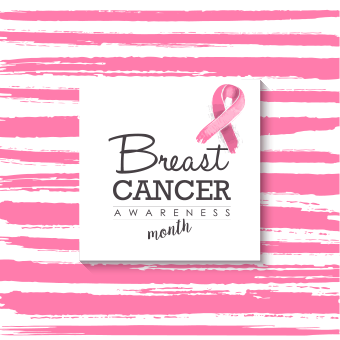 If you are over 40 or breast cancer runs in your family, it’s important to go for annual mammograms. Stay consistent and perform self-examinations every month. • (I) Invest in Your Health – Studies show that making healthy choices can lower your risk of breast cancer and other cancers. This includes getting regular physical activity, maintaining a healthy weight and limiting alcohol intake. • (N) Never be Alone – Your NAPW network is full of like-minded women you can trust, confide in and count on. If you are going through tough times, don’t hesitate to ask for help or a shoulder to lean on because NAPW women lean in and lift each other up! • (K) Knowledge is Power – The more we know, the better equipped we will be in fighting breast cancer. And with knowledge, comes responsibility. Educate yourself, share your wealth of knowledge and empower others to do the same. Here’s to raising awareness and spreading the PINK! And remember ladies, she who has health has hope, and she who has hope has everything. We want to hear from you! Are you going PINK for Breast Cancer Awareness Month? What are you doing to support the cause? Share your comments below.